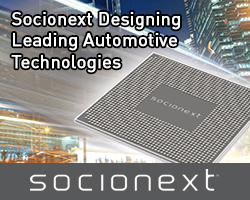 ON Semiconductor has launched the newest model in its Interline Transfer EMCCD KAE sensor line, for high-quality imaging in extreme low-light conditions. 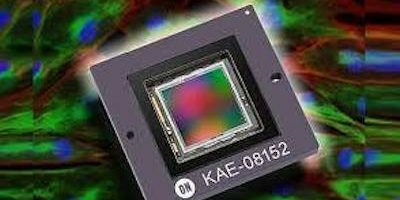 The KAE-08152 image sensor captures critical imaging details with 8Mpixel resolution and enhanced NIR sensitivity in lighting conditions from sunlight to starlight. The KAE-08152 is a 4/3-inch imager with 8.1Mpixel resolution that provides increased quantum efficiency (QE), specifically for NIR wavelengths. The low-light imaging performance of this sensor is suitable for surveillance, ITS, scientific, and medical applications. The image sensors are available from Framos. Sub-lux imaging is enabled by interline Transfer EMCCD technology, explains Framos. 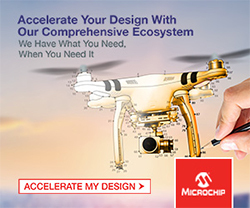 Each of the sensor’s four outputs incorporates both a conventional horizontal CCD register and a high-gain EMCCD register, resulting in the low-light imaging performance. The KAE-08152’s QE is doubled at approximately 850nm compared to the standard KAE-08151 to provide enhanced NIR sensitivity without any decrease in the device’s modulation transfer function (MTF). 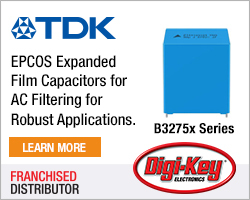 An intra-scene switchable gain feature samples each charge packet on a pixel-by-pixel basis, enabling the camera system to route charge through the normal gain output or the EMCCD output depending on a user selectable threshold. Another image quality factor is the very low sub-electron noise for EMCCD. All features lead to image uniformity, required in applications where high-sensitive image recognition is required, says Framos. Potential applications that require extreme low-light imaging include wide fields of view for surveillance include border control, aerial monitoring and autonomous vehicles. Other examples like intelligent transportation systems can take advantage of day/night cameras, electronic toll collection, and the precise observation enabled by this special type of image sensor. Astronomy and all types of microscopy applications can benefit from the image quality and low light performance of the KAE-08152 sensor. Additionally, the extremely high contrast and low readout noise can benefit both diagnostic and surgical procedures in the fields of fluoroscopy, ophthalmology, and dermatology.